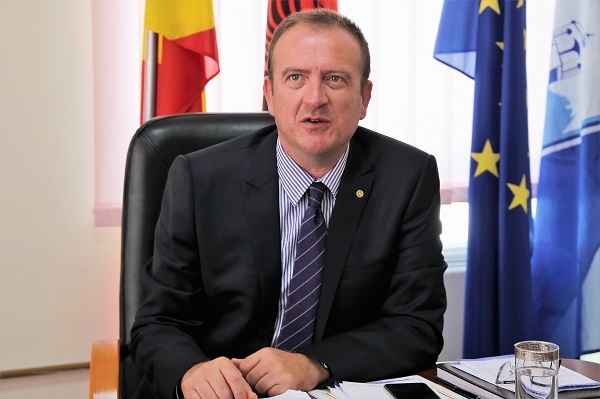 CIVIL spoke with the Mayor of the Municipality of Aerodrom, Zlatko Marin, on the efforts for a cleaner and healthier environment in the municipality and how much European values and green initiatives are respected? 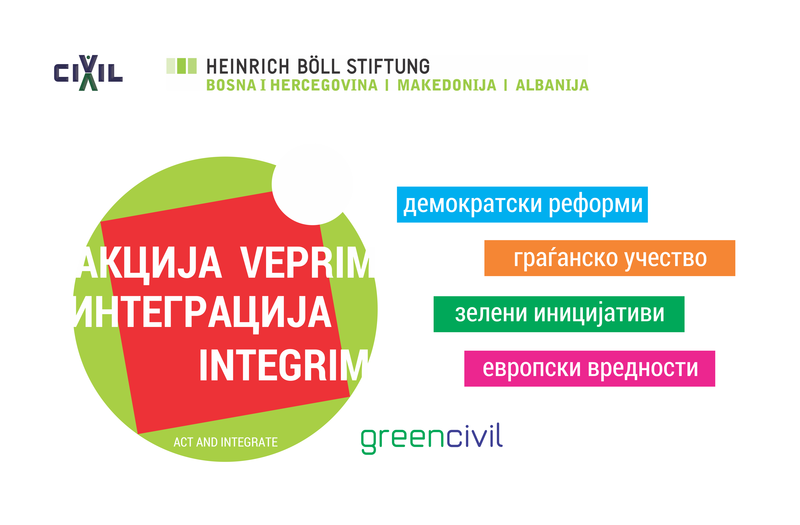 CIVIL Media: How prepared is the Municipality of Aerodrom to implement European values? Marin: With accession to the European Union we are building institutions that work according to European standards and a society that lives according to European values. The local self-governments, as a bridge between the state institutions and the citizens, are crucial in realizing these goals. 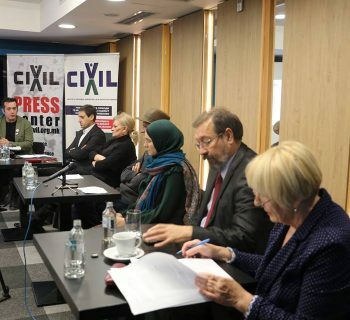 The basic European principles, such as respect for human rights and freedoms, equal access for all citizens and the rule of law, are the principles that we are guided by in creating the local policies. In this direction, we are introducing fundamental changes in the way the Municipality of Aerodrom functions. We have prepared comprehensive analyses on the needs of each settlement on our territory, a long-term and a short-term plan for realization. This includes increasing and improving the educational and care facilities, as well as providing proper conditions for children and persons with disabilities, improving the local infrastructure, adding urban equipment and greenery, and so on. At the level of the entire municipality, we are working on approximation and improving the services of the local self-government. We are conducting an internal reorganization in the departments, such as, for example, legalization, where, unfortunately, cases are waiting to be solved for a long time. At the same time, we are building mechanisms for better communication with the citizens and bringing the civic sector closer to the everyday work, because I believe this is the only way to reach every citizen and to jointly build a society for all. Our new projects and budget priorities are directed towards improving the everyday life of the local population, and enabling better conditions for growth and development of every citizen. We are returning the money to the citizens through measures, such as one-time financial assistance for first graders and talented sport athletes. CIVIL Media: How much do you as a Mayor advocate for environmental justice and promotion of green initiatives? Marin: Environmental protection is in the center of the Municipality of Aerodrom’s activities, and my personal priority as well. I started the efforts for clean air and environment back in the framework of the pre-election campaign, and as a mayor I strongly adhere to it. In order to achieve real environmental justice, we need active participation of everyone, that is, the institutions, civic associations, and the citizens themselves. That is precisely why our activities are aimed towards concrete measures, but also towards establishing close cooperation with the civil sector and raising public awareness. We support all the initiatives that have been submitted to us and that have a positive effect on cleaner air and cleaner environment. Hence, in cooperation with the association “Eco Svest” (Eco-Awareness) and “Triglav osiguruvanje” (Triglav insurance), we put up a City tree billboard in front of the shopping mall “Biser”, which has a purification effect of 275 trees, and neutralizes pollution of 417 automobiles yearly. Currently, in the settlement of Lisice an action is being carried out for selection of plastics, in cooperation with the environmental association “Go Green” and the Ministry of Environment and Physical Planning. This project has a double benefit. In this way we are raising awareness on waste separation, which is a practice in all developed countries, and on the other hand, we are giving waste collectors the opportunity to formalize their work. Furthermore, in cooperation with “Pakomak” and the City of Skopje, waste bins for waste separation are being placed in several locations in the Municipality of Aerodrom, and we have also placed a waste bin for small electronic waste in front of the shopping center “Capitol Mall” together with the association “Zero Waste”. 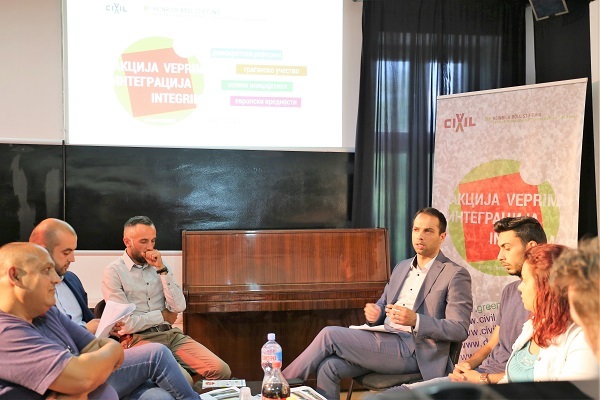 Urban planning is an especially important aspect of environmental justice, which is a big problem in the Municipality of Aerodrom, as well as in several locations in the City of Skopje. The citizens have to understand that the quality of life and the protection of green areas are defined precisely with the development of detailed urban plans. Unfortunately, most of the damage here has been already made by the previous leadership. However, our practice in regards to the urban planning is completely different. We are working on the new plans according to high environmental standards, and we are committed to building mechanisms that will enable continued participation of the civil sector in this process. CIVIL Media: Which activities is the Municipality currently implementing for environmental protection and development? Marin: We increased the budget for the environment this year by 20 times and is 300.000 euros. In this way, we are opening an opportunity for new projects that bring real results. Unfortunately, this is an area that has been neglected for years, and one that demands thorough inter-institutional approach. Having in consideration that the solution is neither quick or easy, we as a local self-government are focusing on interventional measures. At the same time, we are intensifying the cooperation with all concerned bodies and organizations, for finding a permanent solution and enabling a clean environment for all citizens. Hence, we provided funds for installing air purifiers in all the kindergartens on the territory of the Municipality of Aerodrom, and have purchased 170 new grown trees. 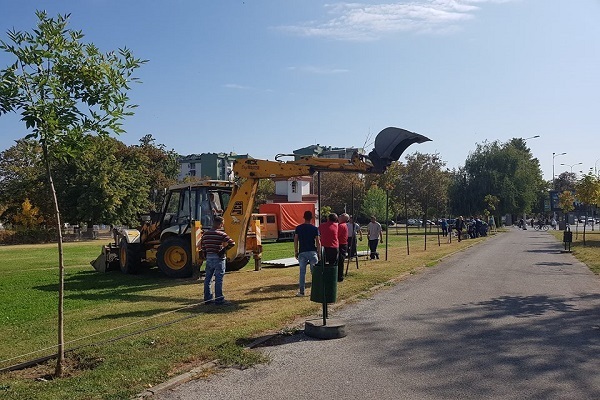 In cooperation with the City of Skopje and the Public Enterprise “Parks and Greenery”, we have already planted an additional 500 trees in Aerodrom. With the budget rebalance, we have anticipated a new measure for subsidizing a transition to a more environmental heating system in individual households, for which we will soon publish a public announcement. We introduced two-shift working of the inspection services, with the purpose of detecting and removing the polluters on the territory of the Municipality of Aerodrom. We are performing regular controls on all buildings that are under the competence of the local self-government, as well as on the construction sites. 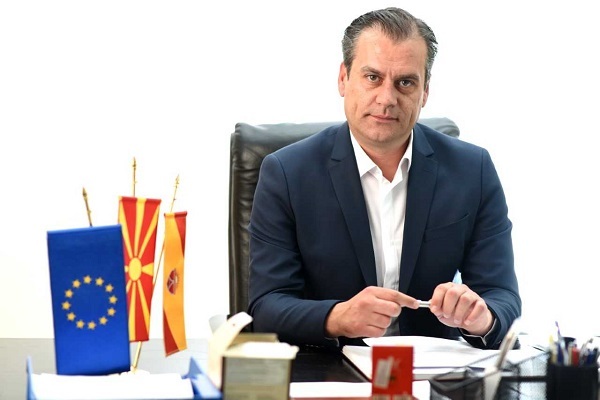 We are establishing cooperation with the neighboring municipalities, the City of Skopje and the Ministry of Environment and Physical Planning, for dealing efficiently with all other potential polluters. I personally believe that the only efficient measures are those that are adopted on the basis of specific information. That is precisely why are are establishing continuous measurements on our territory, which would provide additional and more detailed information on the polluters in the Municipality of Aerodrom. We are still defining the form and the manner according to which these measurements will be carried out, and we will soon inform the public about this project. We are also continuously conducting the action that we started last year for cleaning mini landfills. At the beginning of my mandate, we mapped 62 mini landfills, most of which have already been cleaned. We are also working on finding a permanent solution for arranging the locations that will be cleaned up, as well as on procuring additional mechanization for maintaining the hygiene of public areas. Until now, we have also realized two actions for collecting bulky waste, in cooperation with the Public Enterprise “Communal Hygiene”. Unfortunately, the decision for clean air and a clean environment is not a quick and easy one. However, as a Municipality, we are working on several fronts, our approach is thorough, we are striving for establishing an intensive cooperation with all socially responsible factors, and promoting innovative solutions.